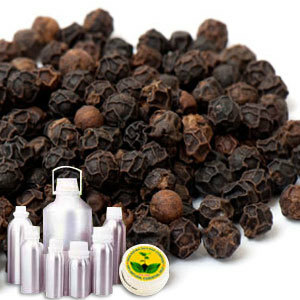 Black Pepper CO2 Extract Oil obtains from the berries of the pepper plant. It includes black pepper, green pepper and white peppercorns. The color of these varieties is a reflection of various stages of development and processing methods. A middle note with a medium aroma, Black Pepper CO2 Extract Oil has a sharp, spicy scent faintly reminiscent of Clove. Black Pepper CO2 Extract Oil is used to warm the body and help in improving the performance of the digestive system. It is also used in the treatment of nausea, all kinds of stomachache, abdominal flatulence and abdominal bloating.